When preparing for my Baptism, Confirmation and First Eucharist at St Joseph’s Church, I was always made to feel very welcome by Fr Mick and Seana and everyone involved in the parish. The guidance offered by Fr Mick and Seana made my growth as a Christian and ultimately a Catholic feel constantly and warmly supported. The Sacramental team always put me at ease and never made me feel like I couldn’t ask questions, which was very comforting. My initiation into the Catholic Church could not have been more spiritually guided and supported and I recognise that the RCIA program at St Joseph’s Church gave me the best starting point in my life as a Catholic. I participated in the 2014 Sacramental Program at St Joseph's with my daughter who was in Year 4 at St Joseph's School the Strand. I very much enjoyed attending the activities involved with the children and the opportunity to hear their thoughts about the journey we were all on together. I felt so very welcomed into the Church by the volunteers throughout the Program, as well as the wider parish community. For anyone who is thinking that they would like to become a Catholic, I couldn't recommend a better Program to be involved in - questions are encouraged, you will be welcomed and you will find it to be one of the most uplifting and joyous experiences, especially if you are sharing it with your child. I was baptised a Catholic, and although as a child I was preparing to continue my Sacramental journey, life and circumstance changed that plan. 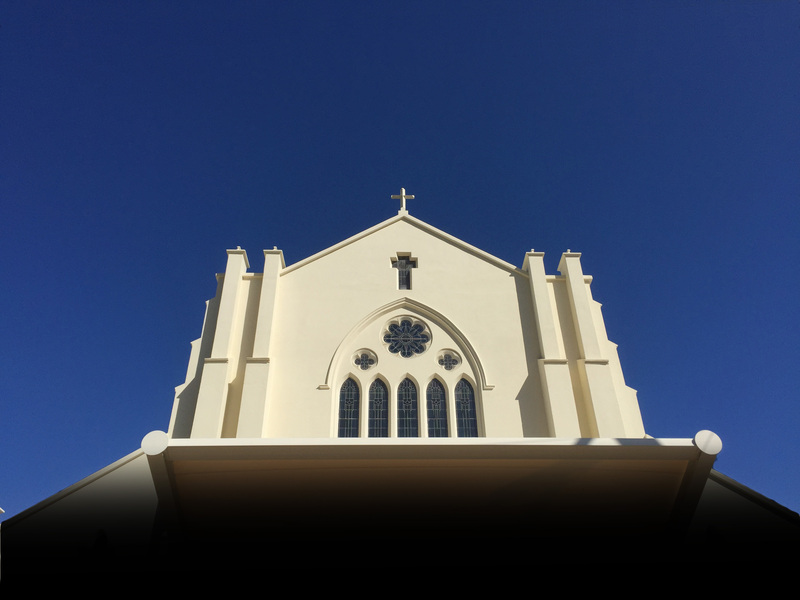 When my daughter began the Sacramental program at St Joseph's Church, a simple conversation with the Sacramental Coordinator opened up the opportunity for me to continue my Catholic journey in a caring and very special way, giving me a sense of completion and a continuing clarity in my faith. I would encourage anyone considering becoming a Catholic, to just have that simple conversation with the wonderfully supportive people at St Joseph's Church. In 2013, I completed the sacramental program at St. Joseph’s Church. I learnt about some of the experiences other people had when they made their Sacraments. I learnt about the importance of being a member of the Catholic Church and it was really wonderful that Bishop Michael Putney was able to come and share this special time with us. I had a fantastic time learning about Reconciliation, Confirmation and First Holy Communion. I also enjoyed making things like candles, lanterns, and kites. When I had finished the program I was encouraged to take an active role in my parish, like when I learnt to be an alter server.